Jack Skellington-O-Lantern. Flickr photo by Randy Robertson. Bellingham has a great Halloween, in my humble opinion. Maybe it’s all the college students, maybe it’s the theater people, but I think it’s everyone who heads to a house party or downtown on October 31. Are you ready for Halloween? Don’t let it sneak up on you, start celebrating now! 1) Pick out a Halloween costume. This is my favorite part of Halloween. Having a great costume is what really makes this holiday special. You don’t get too many chances to adopt another persona, so take advantage of this one! There’s a costume shop in downtown Bellingham on Holly St, and another one on Meridian. Or go to the thrift store and get creative! 2) Check out a haunted house. The place to be this year seems to be the Scream Fair Haunted House at the NW Washington Fairgrounds in Lynden. It’s a haunted house broken into three themes: The Old Myers House, Arkham’s Asylum, and Akasha’s Revenge. It’s going on Thursdays, Fridays and Saturdays from now until Halloween, starting at 6:30pm. There is a recommended age of 10 and up, so I wouldn’t expect it to be too scary- if anyone has been, can you tell me about it in the comments? 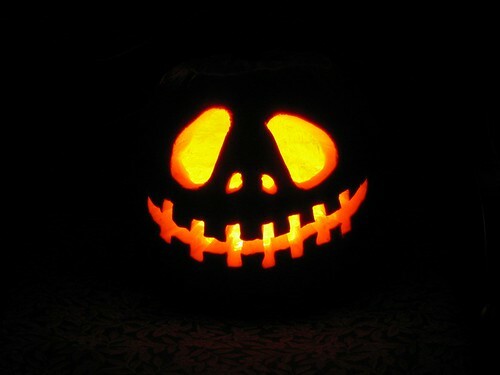 3) Carve a pumpkin. It’s cheesy, but it’s a classic for a reason. Nothing says Halloween like a hollowed out squash with a candle in it. 4) Learn the Thriller dance. Every year on Halloween, some of Bellingham’s finest citizens perform Micheal Jackson’s Thriller dance both in Fairhaven and downtown. They call it Thrillingham, and it’s pretty awesome. Practices have already started, but you can still catch up! Check out the Thrillingham practice video on YouTube.